Did you know that eating a whole head of garlic a day does miracles for your body? Garlic – a simple ingredient with amazing health benefits. It stimulates the immune system and normalizes your gut flora, but since its so powerful, moderation is key. Garlic should be treated like medicine and not over consumed. 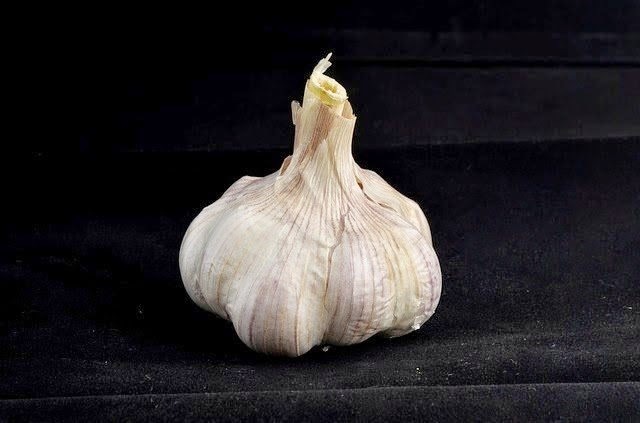 Growing up in Russia, from an early age, I learned that garlic was to be my first aid choice whether I was getting sick or just as a preventive measure. Nobody ever questioned its powers. Garlic is a powerful natural antibiotic. It Does Work! It kills a very large number of different bacteria. Garlic is widely used in folk and traditional medicine for the treatment of many diseases and ailments. The cultivation of garlic started about 5 thousand years ago. It was used by the Romans, Assyrians, Egyptians, Greeks, Jews, Arabs and many other cultures. Pythagoras called garlic “the king of spices”. The earliest known references indicate that garlic was an important part of the daily diet of the Egyptians; An Egyptian manuscript from that period includes 800 drugs, of which 22 were made with garlic. It is very important to know that garlic strengthens the immune system, thus increases the body’s ability to withstand the harmful influences of the environment. Garlic kills a large number of various bacteria. Garlic helps protect against heart disease. Garlic reduces the synthesis of triglycerides in the liver which help prevent the development of atherosclerosis. Garlic lowers blood pressure and has anti-inflammatory properties. Garlic is a natural antibiotic and is an effective remedy for colds. It is recommended to use garlic for disorders of the nervous system. Garlic helps kill the cells of multiform glioblastoma’s – a malignant brain tumor. Garlic also acts as an anticoagulant, which thins the blood and prevents the formation of dangerous blood clots (helping to reduce the risk of a stroke or heart attack).